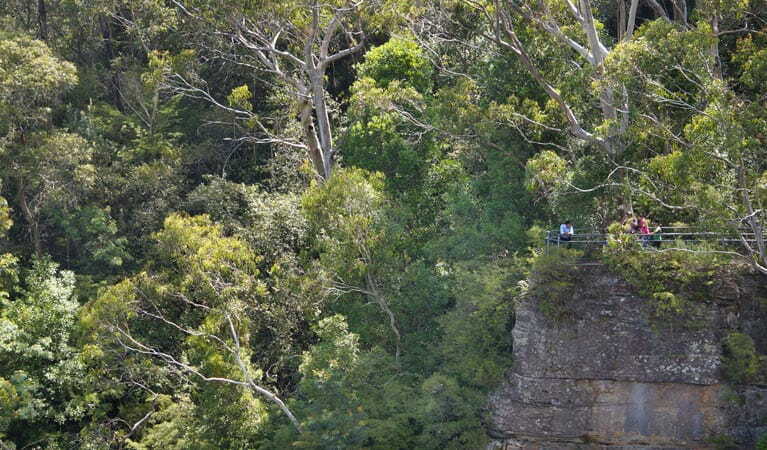 Packed with scenic views, birdwatching, rainforest and waterfalls; medium difficulty Round walking track offers iconic views of The Three Sisters in Blue Mountains National Park. A short yet spectacular track through a lush rainforest gully leading to lookouts that boast some of the most iconic views in Blue Mountains National Park. 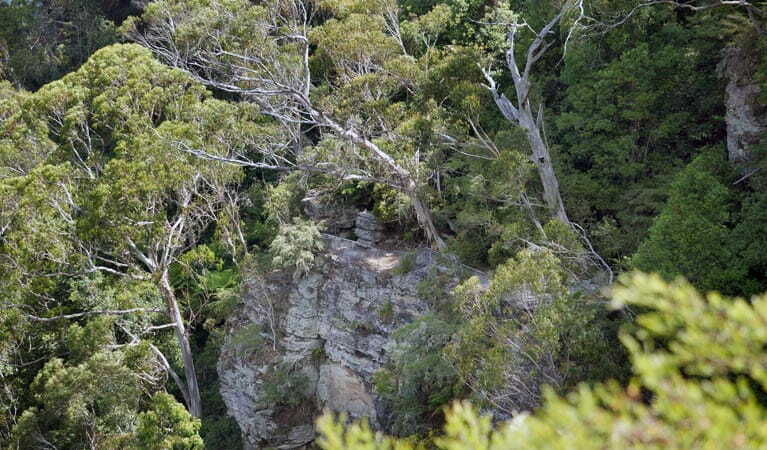 Excellent for adventurous walkers looking for a shorter route, Round walking track packs in a swag of spectacular vistas and waterfalls, that highlight the dramatic beauty of the Katoomba escarpment. Take in the spectacular waterfall views from Reids Plateau before making your descent down the stairs into the shadowy gorge. In the spring the new fern shoots brush your legs and flocks of rosellas and lorikeets flit through the rainforest canopy. 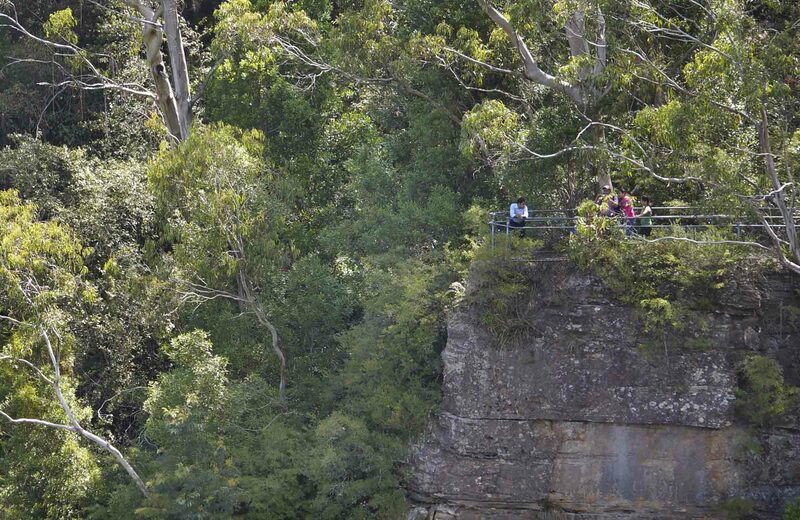 At Vanimans lookout you’ll have unsurpassed views of The Three Sisters and Katoomba Falls. The medium difficulty track skirts the cliff edge leading to romantically named Juliets Balcony overlooking Witches Leap waterfall. 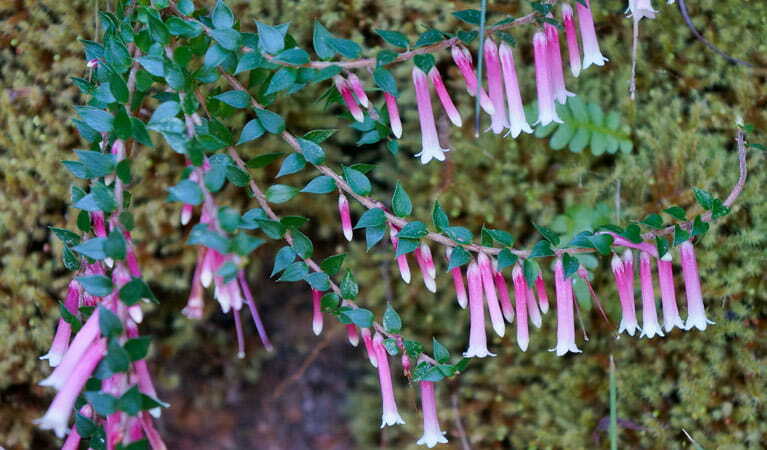 If you’re keen to further explore the dense valley, join Furber Steps which leads to Scenic World via Federal Pass. 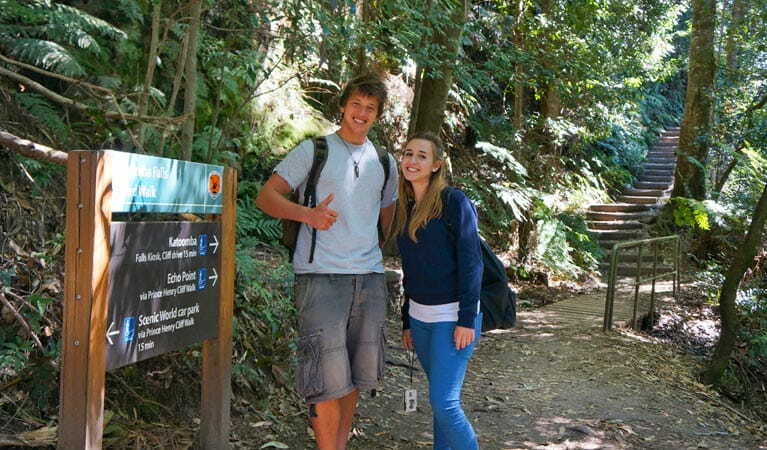 Take a virtual tour of Round walking track captured with Google Street View Trekker.